Embrace your counter for what it is! We provide both laminate or tile countertop resurfacing. This is a great solution when the durability of your countertop is still strong but the look and feel just isn’t right. 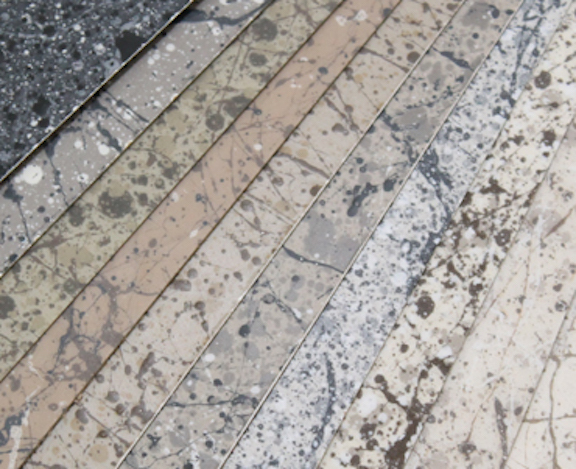 We have beautiful colors and textures to choose from, pick your favorite today! Countertop resurfacing is something that should only have to be done once. That is, if styles don't change too drastically. Our countertop resurfacing practices are meticulous, clean and they look good. As always, we maintain the highest safety standards and we never cut corners. One of the many ways we ensure we are doing our best work is by ALWAYS removing caulking. Next, we ensure necessary repairs are made before starting to resurface. We do a quick but thorough sanding and cleaning and then we are able to begin. We mask all cabinets, flooring, appliances and walls to ensure over-spray is not an issue. Apply a thick base coat then add decorative speckles or stone-fleck to update your surface. Matte finish or High-Gloss clear coats are applied to ensure the decorative surface is protected for years to come. Removal of masking and disposal of material waste responsibly is just a part of our service.